We are looking for a Consultant Obstetrician and Gynaecologist to work in a brand new, female only clinic in the heart of the Cayman Islands. The successful applicant will work alongside an elite team of healthcare professionals with a genuine passion for providing world class healthcare services. Due to open towards the end of this year, our client is the first women’s only outpatient healthcare facility in the Cayman Islands, catering to the unique and diverse needs of women through an entirely female staff. The Obstetrician and Gynecologist’s primary responsibilities include examining patients, diagnosing medical problems and treating various illnesses and diseases. They will assist with maintaining and developing the patient service and there is also scope to bring or develop a further sub-specialty interest to complement existing expertise within the facility as well as an opportunity to develop new and innovative services and this is actively encouraged and supported. You will be required to work 45 hours per week, which will include 1 hour lunch break per work day. Working hours generally will be Monday to Friday; 9am to 5pm, however these are subject to change. To apply for this position you must hold Board Certification/CCT in Obstetrics and Gynaecology and be a fully registered Consultant in Australia, Canada, Jamaica, New Zealand, South Africa, United Kingdom or USA. 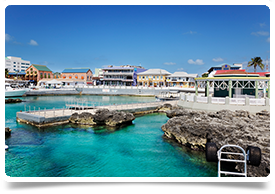 The Clinic is based in George Town, the capital of Grand Cayman and is the largest of the three Cayman Islands. Stunning Seven Mile Beach is it's crown jewel with a range of water sports and beachfront resorts. Besides basking on the island's powdery shores, other popular things to do include swimming with stingrays, diving, snorkeling, hiking, duty free shopping and escaping to the islands tranquil East End.